1 x Twisted Cable Bangle Bracelet. Material : Titanium Steel. This is our SOP, for us to be certain and for record purposes. Processing craft : Set auger applicable. Iced out Round cut Cz Stones. Also, exposing plated jewelry to liquids will cause the plating to lose its finish. 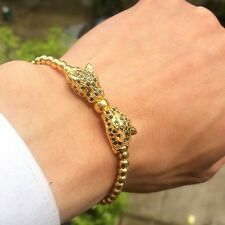 - Width of Bracelet is 16mm. Size - 18" / 22" Double Tennis Chain and 9 mm X 8"2 Row Bracelet SET. Price - 100% Factory Direct & Lowest price. Top - Made of High and Top Plating. If not reported, we will not issue credit. Size: about 6.5-7.5 in. Beads size:4MM. Item Number:WAB1008-3. 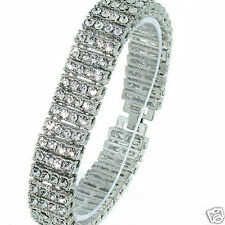 Bracelets Size: 7"/180mm( Stretchable ). Beads size:8mm. 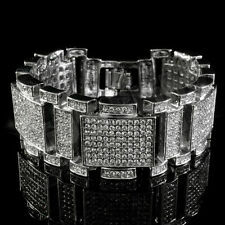 This iced out bracelet is made from high quality jeweler's Alloy and plated with premium 14k white gold plating. Also, exposing plated jewelry to liquids will cause the plating to lose its finish. Our variety of stylish and tarnish free stainless steel chains are the perfect accessory for the Hip Hop enthusiasts. We are an authorized dealer by law of D&G GIFT INC. We are authorized by D&G GIFT INC to use D&G G IFT INC'S photos. Rope Chain 20". Hip Hop Broken Heart Pendant. 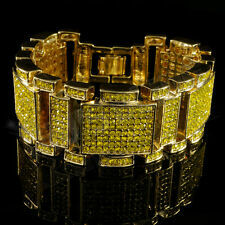 Luxury Clasp. L2JK HIP-HOP JEWELRY. Color: Gold. Item Number:WAB1199-1 Package Included:1 Piece Materials:Copper Beads Size:6mm Please Do Not Leave us negative feedback or Neutral feedback or low score on detail rating selling, If you have any questions, please contact us before you are doing this, thank you very much for your understanding. • Ball Size: 6mm Gold Beads ( The widest point ). • Bracelet Size: 7" ( Adjustable ). • Bracelet weight : 23 grams. • Stone Color: Clear/Green. Bracelets Size:7.5'-9'in. Bead Size: 8MM. 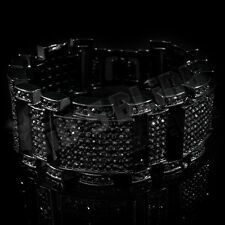 This iced out bracelet is made from high quality jeweler's alloy and plated with premium jet black plating. Also, exposing plated jewelry to liquids will cause the plating to lose its finish. Our variety of stylish and tarnish free stainless steel chains are the perfect accessory for the Hip Hop enthusiasts. We are an authorized dealer by law of D&G GIFT INC.